Velvet hat with rosette detail. 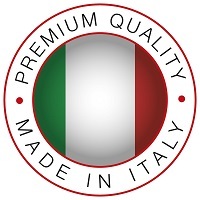 Our stunning premium range of costumes are all Made in Italy and oozing with quality. Only the highest quality fabric is used to create our timeless pieces that you can wear over and over again. A must have for any parent who wants their child to stand out from the crowd and win that best dressed trophy, dance troupes, and stage productions who need quality lasting pieces. This costume if wonderful. It arrived beautifully boxed and wrapped in tissue. It was lovely to receive and the costume was even better than we imagined. Very well made and of good quality. So much better than any other costume we have bought on line.